New students get officially 'Bruintized' in the inverted fountain during a campus orientation tour. As essential as it is to introduce 9,000 incoming freshmen and transfer students from around the globe to the campus and its culture, these tours are actually just the endpoint of an enormous, yearlong enterprise to ensure that new students are ready come fall quarter. 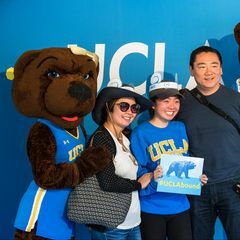 “It’s a vast operation,” said Roxanne Neal, director of UCLA's New Student & Transition Programs in the UCLA College’s Division of Undergraduate Education. Neal oversees a complex, multilayered process focused on planning and orchestrating 30 orientation sessions offered during the course of the summer — 12 three-day sessions for freshmen, three of them designed for international and out-of-state students; eight one-day intensives for transfer students; and another dozen days for families of new students. Unfolding with clockwork precision, the operation is manned by a veritable army of staff and faculty contributing their expertise on everything from choosing a major to staying safe and healthy. Among the frontline “foot soldiers” for this immense operation are nearly 100 undergraduates hired as counselors to explain campus rules and regs, assist with enrollment and respond to a non-stop stream of questions. 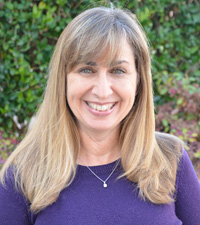 Roxanne Neal, director of UCLA New Student and Transition Programs. 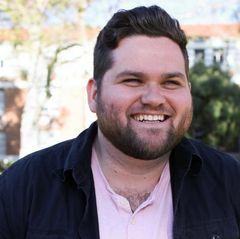 “Our goal is to make sure that new students make a successful transition into the campus — that they’re excited and prepared with all the knowledge and equipment they need to do that,” said Neal, a UCLA alumna who joined the staff in 1989. Preparations for this year’s orientation began almost immediately after last summer’s program ended. Hunkering down with data from thousands of participant evaluations, Neal and her five-person staff determined what worked, what didn’t and where improvements could be made. Last year, for example, transfer students reported that they felt overwhelmed by the massive amount of material packed into their daylong sessions, which led staff to reduce information overload and increase individual attention this year. Next came setting the schedule for this summer’s sessions, which launched on Monday, July 14, and end on Sept. 18, just two weeks before fall quarter starts. 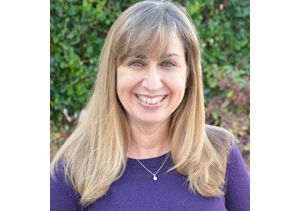 Once that plan jelled, Neal and her staff fanned out across the campus to connect with anyone who works with students in any capacity. Meetings were set up with staff from admissions, the registrar’s office, financial aid, 11 schools and 110 academic departments, student affairs and residential life, among others. Proving that orientation indeed takes a village, representatives of the UC Police Department will talk with students and families about campus safety, the UCLA Volunteer Center will prep new students for Volunteer Day when they will be bussed to community service projects throughout L.A., and international students will be connected to the Dashew Center for help with everything from complying with visa regulations to opening a bank account. Faculty also play a vital role, talking with students about the academic community and the classroom experience. Among them is David Ravetch, a senior lecturer at the UCLA Anderson School of Management, who for the past several years has delivered a rousing “Welcome-to-UCLA” to new Bruins at every orientation session — congratulating them on being admitted to UCLA from nearly 100,000 applicants and encouraging them get to know their professors to help them meet the steeper challenge of college compared to high school. Working with the Ashe Student Health and Wellness Center as well as Student Counseling and Psychological Services, Neal fine-tunes presentations she’ll make during orientation on sexual violence, sexual health and alcohol and substance abuse — topics presented in accordance with state, federal and UC mandates. A few of the nearly 100 Bruins who served as counselors during new-student orientation last summer. To keep everybody fed and entertained during orientation, Neal’s group coordinates with campus partners on planning fun events, including evening barbecues, activities fairs, poker tournaments, dances, a midnight scavenger hunt, a Westwood Village tour with a requisite stop at Diddy Riese, and shopping for toys to donate to Mattel Children’s Hospital UCLA. Among the myriad participants in the giant campus welcome are ASUCLA, the UCLA Bruin Marching Band, performers from UCLA’s cultural groups and students from nearly 1,000 campus organizations. By the time this summer's orientation started, a cadre of orientation counselors stood ready. These 90 students who were hired by Neal and her staff last winter and put through 10 weeks of intensive training during the spring, where they learned how to lead small-group discussions on topics like diversity, mastered the art of walking backwards to shepherd campus tours and memorized GE class requirements and requirements for majors. Neal also makes sure the student counselors can cope with the unavoidable stress of orientation. Advising new students about enrolling in fall quarter classes is a major focus of orientation. To give incoming students a fair shot at getting the classes they want, Neal and a campuswide enrollment committee came up with the idea four years ago of reserving class seats for them before all the spots get filled by current students. This year, 25,000 seats have been put aside in more than 200 classes, which will be distributed during the 12 orientation weeks so all students have an opportunity to enroll. When orientation started on Monday, Neal and her staff hit the ground running, armed with walkie-talkies and cell phones to keep close watch on all the moving parts of the operation. 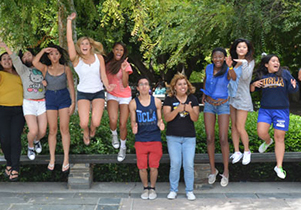 Learn more about new-student orientation at UCLA New Student and Transition Programs. Roxanne Neal, director of UCLA New Student & Transition Programs.